I like the frog critters. I had debated about getting some, but the only ones I knew of until recently were the Reaper figures, and I had been hoping for more variety. Love the colors on the chaos troll! 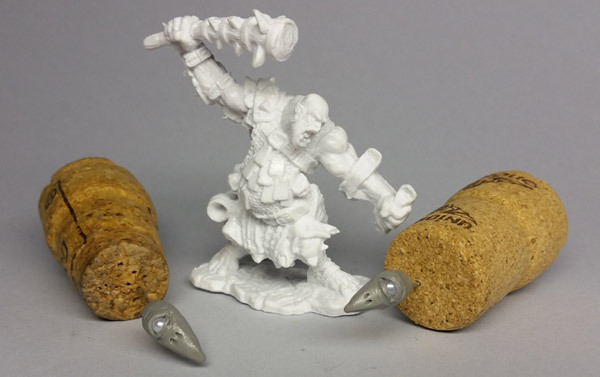 So this is where my Month of Marsh left off, two half-sculpted heads (planning on using which ever of the two turns out better) for converting the big Reaper ogre into a Fomorian/Fimir hero. I prefer sculpting most of the head separately, then attaching it, then sculpting the neck, etc. and blending it into the rest of the figure. I'm going to be shifting gears a bit for April, but plan on continuing to work on this guy in the background. 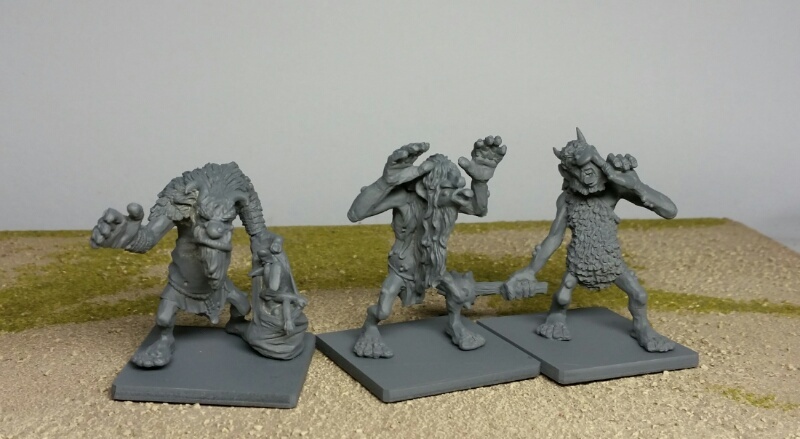 But in my defence the goblinoids are looking awesome. Good work everyone, I'll try to remember it next year! You get a goblin excuse pass from me - I've said it before and I'll say it again, some sweet stuff been happening on that front. Those turtle shell shields came out awesome! Very cool! Love the colors, the details, the bases, and I agree the shields look great. Painting time has been hard to come by lately, but as a fan of the Month of Marsh, I'm going to try to carry on the tradition. This time, however, I'm not planning on Fimir/Fomorians -- at least not initially. 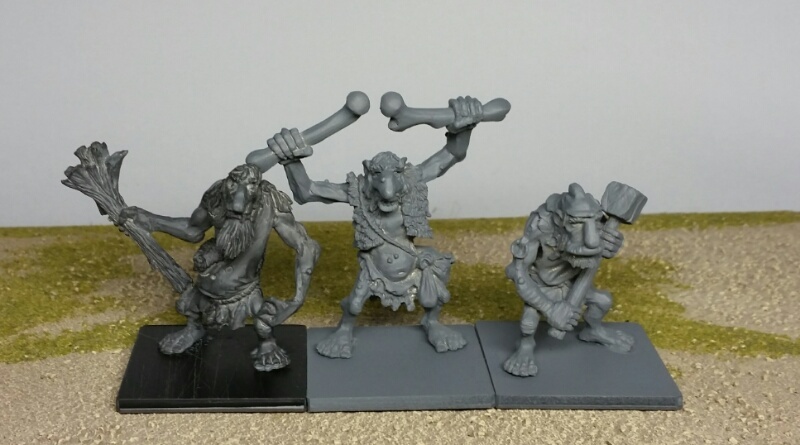 Instead, I've started on bog trolls! 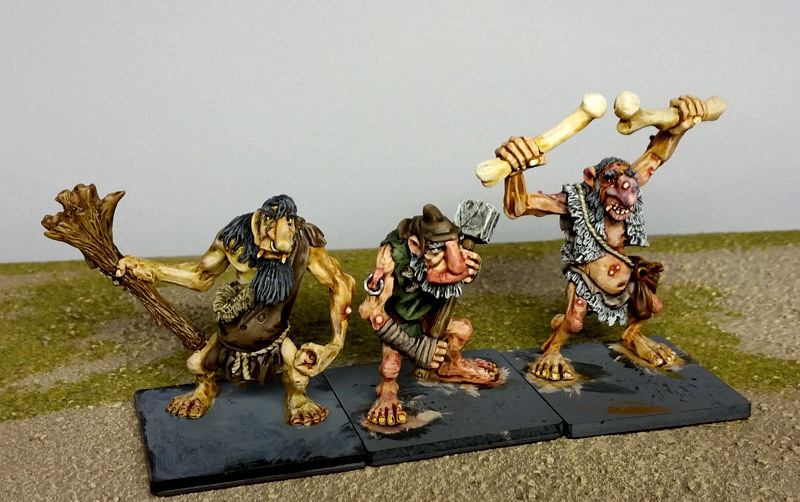 Newer minis in an oldschool style. Yay! My last year's Marsh is in exactly the same situation... a bit of progress MAY be made this month, who can tell?! Fimm McCool wrote: Yay! My last year's Marsh is in exactly the same situation... a bit of progress MAY be made this month, who can tell? !